On the edge of LES and Chinatown, the hidden gem Grotto awaits visitors looking for a great meal. This space is practically hidden with its sign barely at eye level - I kept walking past the restaurant until the sign finally caught the corner of my eye! I eagerly took the stairs leading down to the restaurant below street level. Inside, its a fantastic space with dark wood and an almost speakeasy / 1920's feel. 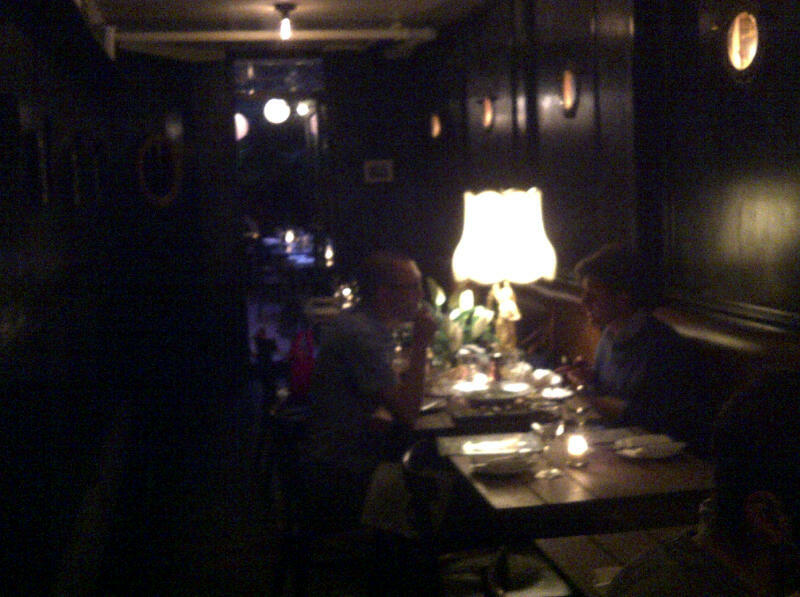 Although the primary dining room is a touch narrow, it adds to the coziness of the space. Out back there is a garden area for outdoor dining when the weather is nice. 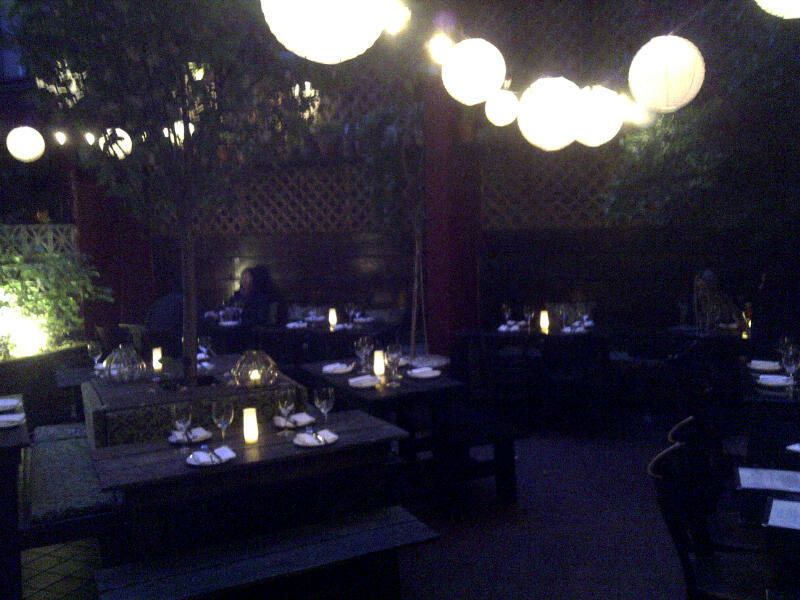 The outdoor dining area in the back garden! There is a cocktail menu as well as a full menu offering antipasti, salads, pastas, and main courses. 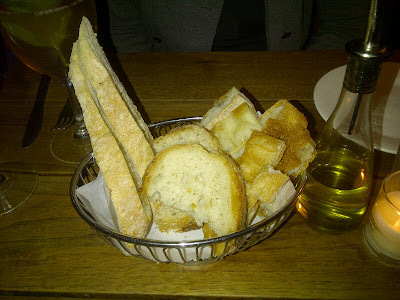 After making our selections, I couldn't help but dig into the bread basket. Loved that there was a variety in terms of bread selection! I love bread baskets - esp if there is variety! 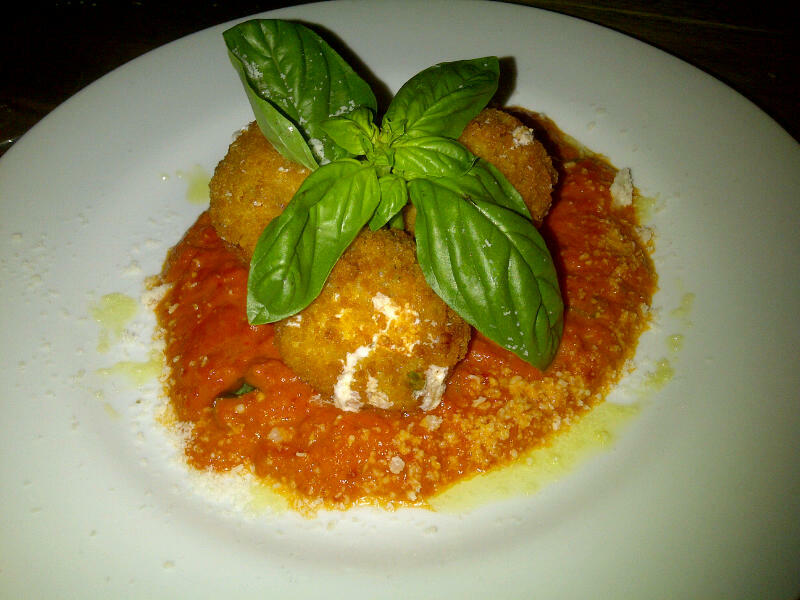 First up - Arancino Catanese. These were rice croquettes with fontina, peas, and proscuitto on tomato cream with fresh basil on top. Can we say delicious?! It was crispy on the outside but nice and ricey on the inside. There was just the right amount of cheese and the overall texture was really great. And the tomato cream? It was one of the best sauces I've had! Not a touch of acidity from tomatoes. We just HAD to use the bread to lap up all the leftover sauce. Definitely unbelievable and not to be missed!!! 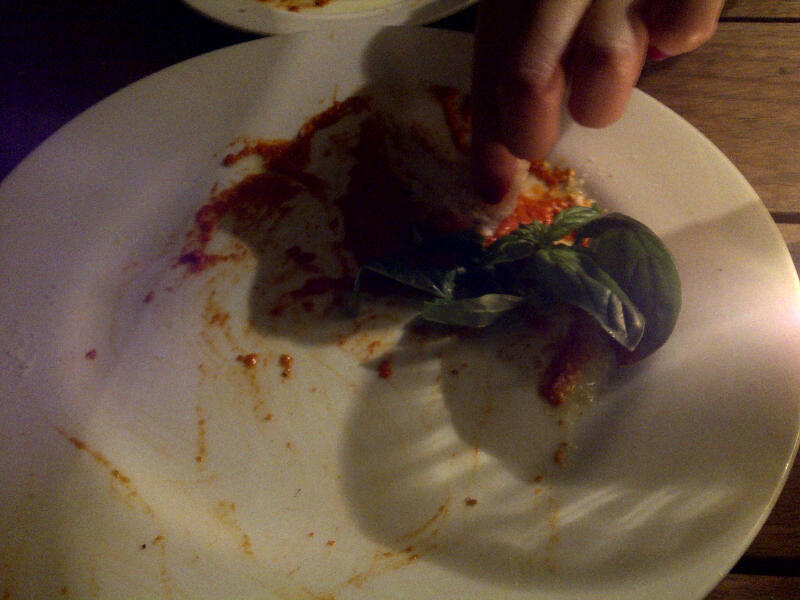 No wasting of the amazing sauce - cleaning the plate with our bread! As for our main entrees, my dining campadre got the Vongole (linguini with clams, cherry tomatoes, white wine broth, and parsely). 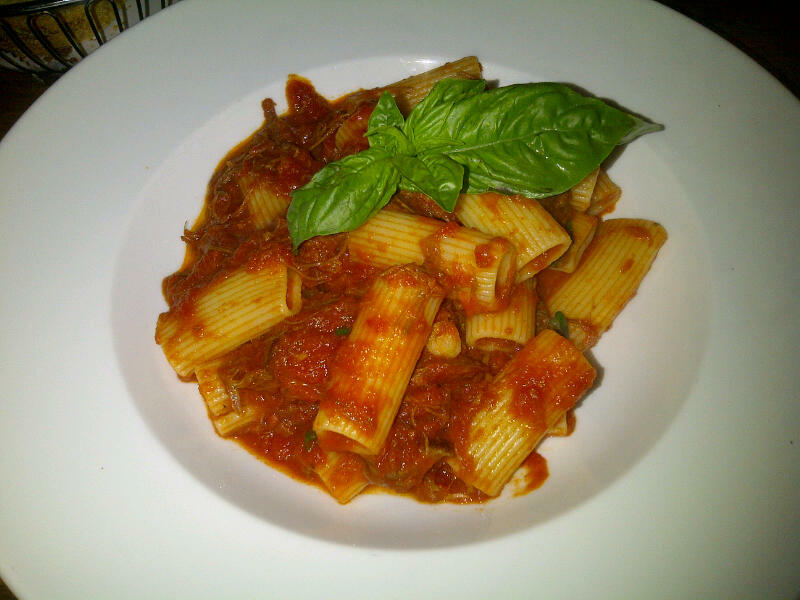 I got the Rigatoni Al-Ragu (rigatoni in a prime short-rib tomato ragu sauce). Both were excellent! 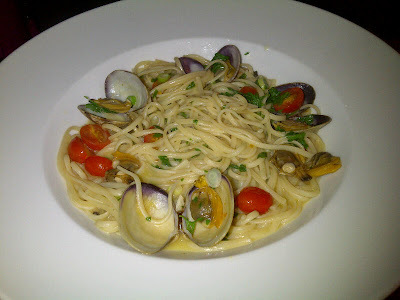 The Vongole was so light yet extremely flavorful and the clams fresh. My rigatoni was extremely hearty with the oh-so-tender short-rib ragu sauce. Both my dining campadre and I walked out extremely satisfied with our meals. The staff was extremely friendly, the atmosphere was awesome, and the food was delicious! 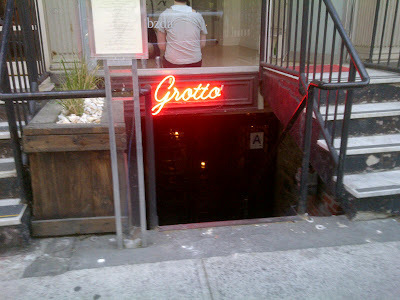 If you are in the LES/Chinatown area, stop by Grotto and give the Arancino and pastas a go!